The small town of Vardoe is located on an island high up in arctic Norway. The Barents Sea surrounding the island is abundant with fish. But no fisheries exist in Vardoe and the houses stand empty. The inhabitants are declaring Snow Ball War to survive. BUY DVD IN OUR WEBSHOP! 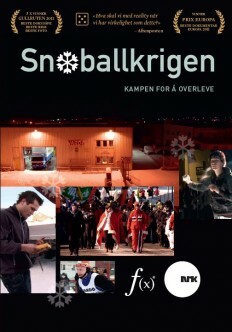 The Snow Ball War won Prix Europa 2011 for Best Television Documentary in Europe. It was also awarded three of the Norwegian National TV Award “Gullruten” for Best Docusoap, Best Directing and Best Photo 2011. WATCH TRAILERS FROM THE SERIAL HERE! We sincerely hope your appreciate the hard work and investment of the producer to make this film possible. any other form of distribution of this content, whole or in parts, are strictly prohibited and may lead to prosecution.